Luxembourg-based satellite operator SES believes the next generation of units, currently under construction for launch in 2021, will prove to be a disruptive technology in the satellite communications field, improving services, expanding the number of users and reducing overall costs for communications. The new system should make satellite communications more economically viable for the typically fragmented businesses such as shipping and trucking. 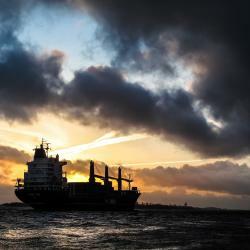 Shipping is becoming increasingly connected with the internet of things as well as monitoring, vessel operations and cargo distribution. 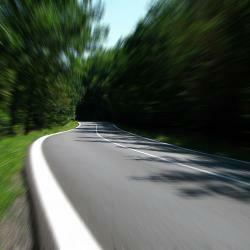 In trucking, the systems can be used to reduce costs through effective routing. In addition, SES believes it can spread its technological revolution to untapped markets offering a broader range of services to wider markets bringing far more users, and that in turn will spread the capital costs of satellite communications. One of those new markets ripe for development is Africa, where fiber has been the preferred choice for most countries because it is comparatively cheap and very reliable, but in Africa, where mobile phone usage is very high, there are added difficulties for fiber, including a lack of security and land-locked countries. Fiber cables can be cut while the highest cost for fiber is what Carole Kamaitha, VP Sales in Africa for SES, "the last mile." According to Kamaitha deploying fiber up to the coast is comparatively cheap, but from the coast to the internal, land-locked, countries the costs increase substantially, and the reliability suffers through a lack of security for the system. Kamaitha points out that there is very little infrastructure in Africa – few roads, rail and little in the way of an analog system that the fiber distribution can follow. As a result, the fiber quality can be uncertain. "There is no customer loyalty in Africa," she explains, "people will often have two sim cards and if one fails then they use another." That has led many companies to use satellite communications as a back-up to the fiber network and Kamaitha said that has contributed to the growth for the satellite operators over the last decade. With its new technology SES expects to reduce the costs of developing a superior constellation that offers better, more reliable connectivity in a cost-efficient manner, making it an attractive alternative to fiber, rather than merely a back-up to the land-based technology. 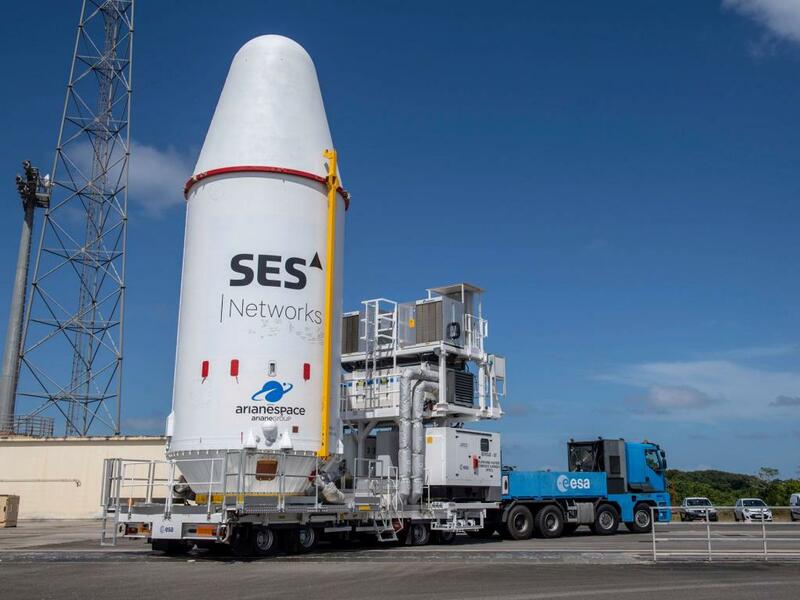 SES Networks CEO John-Paul Hemingway explains that the when the company put the latest batch of mPower satellites out to tender the responses from a number of companies were "very innovative." SES essentially told satellite manufacturers what the traffic profile would be and said "this is what we want it [the satellite] to do. So, we didn't give a spec for the satellite, we gave a spec for the end result and asked all of the tenderers to tell us the best you can do to meet this requirement," said Hemingway. Boeing's approach was strong because it offered a great deal of flexibility and a strong digital signal processing (DSP) approach with a really strong software control ability, but Boeing also offered a cost-efficient approach too. Technological developments are currently developing at rapid rates and Hemingway went on to say that there had been a step-change in the capability of computing technology in the five to 10 years between the design of the current Medium Earth Orbit (MEO) satellites and the new mPower units. That meant the new systems would have around 10 times more capacity, in computing terms, than the original 03b units along with better switching and better DSP. But the biggest single difference is the beams that are directed towards the surface and end-users. "Today the beams that we form and steer are mechanical beams, you can actually see them on the satellite, a mechanical dish that sends these beams down to the ground. What we're using in the latest generation is a complete beam-forming approach, so it's using DSP to form the beams electronically rather than mechanically." This allows the satellite to collect signals from many users and form them into beams that are then relayed back to Earth, "so there is the combination of raw chip-set power, but that's not good enough without the software-controlled beams," said Hemingway. The added software control makes the satellite easier to control, but also requires a different type of controller, less of the radio frequency type engineers and more resources working out service designs, flexing bandwidth up and down, that means more software definable skillsets. Greater capacity and a more flexible control system mean that instead of the constellation of 20 MEO satellites now in operation, since last week's launch of four more 03b units, the next generation satellite array will have just seven satellites, launched in two batches [starting 2021], instead of the five launches with the earlier units. Fewer units, deployed with fewer launches and greater capacity with more users, reduces the capital costs, although Hemingway said the new mPower constellation requires a capital outlay of more than $1 billion including the ground relay stations, but that capital cost will be spread among a significantly higher number of users making the cost per user less. "We set out to get substantially more throughput in the system that would allow us to have better economic terms for our customers. We believe that our customers may not pay less to us, but they get more for the same price. So, we think they're going to need more, but obviously they won't pay more, so we say if they were paying a certain price before we expect them to get a multiple of capacity for the same price." 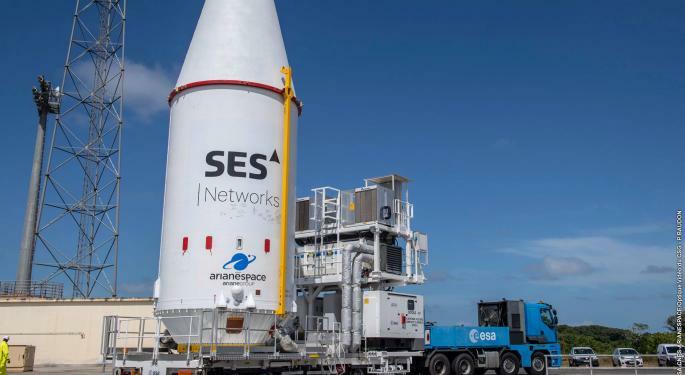 SES is expecting to develop its systems further as the company owns the rights to build an inclined MEO constellation, with satellites travelling over the poles rather than around the equator. This could be particularly interesting for shipping companies considering the use of the northern sea routes to Asia and the U.S. The company is also looking to upgrade its Geostationary Earth Orbit, which orbit at 36,000 kilometers, satellites with the first of these launching around the same time as the mPower units.